4k00:09People go to the mountain peak. People sledding. hd00:09Aerial drone view of St. Thomas church on a hill during winter, with snowy fairy tale landscape all around it. Mountains (Alps) are visible in the distance. hd00:13Time lapse of a chair lift at a ski resort. 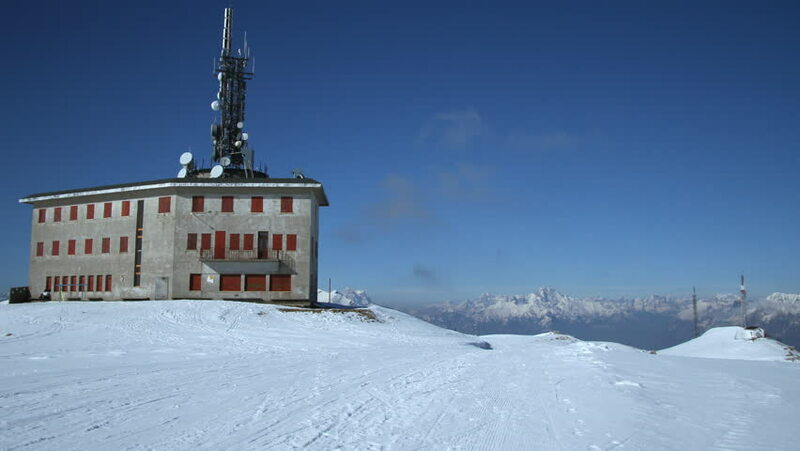 4k00:30Flying over communications tower, mountain snow covered winter landscape.